biddeford, coast of maine. maybe 1989. film. 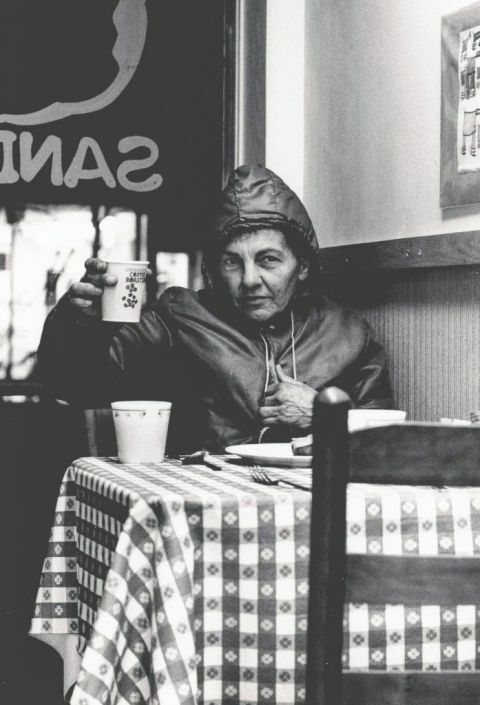 she appeared to be homeless, appreciating a hot beverage on a cold day. we acknowledged one another and she raised her glass as she allowed my camera – her gaze registering our connection. i was photographing daily life for a newspaper those early years, but it was these more intimate encounters, a recognition of common humanity, if only brief, that fed me and affirmed my way.